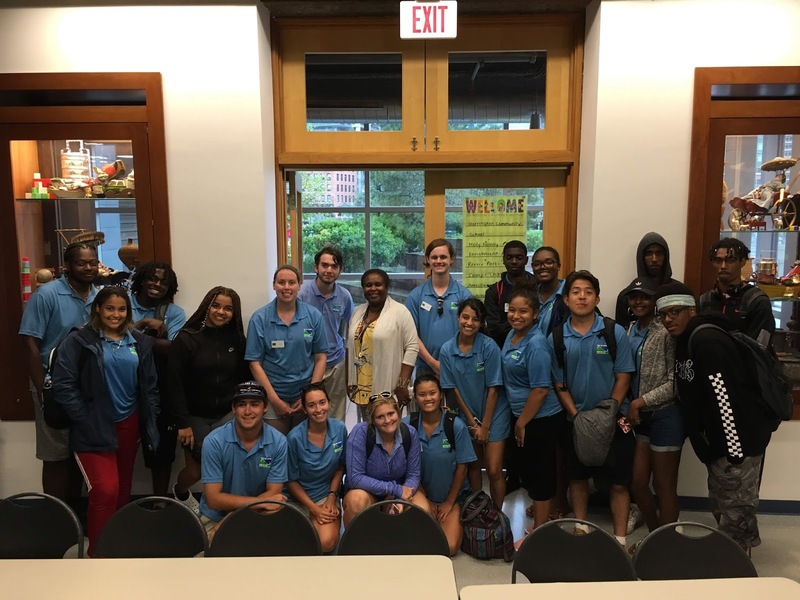 On Thursday, July 27, Charlayne Murrell-Smith, Vice President of External Relations & Corporate Development at the Boston Children's Museum invite Save the Harbor's youth staff to the museum for a conversation as part of our Youth Jobs and Leadership Development Initiative. Charlayne was the second in our Save the Harbor Leaders Speakers Series - throughout the summer, leaders who have built successful careers in business, science, transportation, government, construction, and other sectors in and around Boston join our youth staff to share their experience and introduce us to a variety of career options across many industries. Though currently a leader at a major non-profit organization, Charlayne emphasized that her career path had been anything but linear. 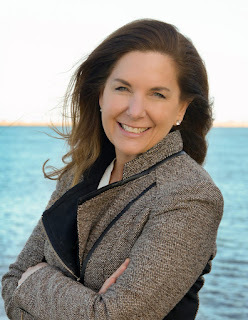 Beginning as a public school guidance counselor, she also worked in radio, public affairs consulting, and for the Greater Boston Chamber of Commerce. Though it may sound unusual, this story echoed that of our first speaker, Captain Claudia Gelzer, who began her career as a reporter before becoming a leader in the Coast Guard. Charlayne talked to the youth in our program about the nature of her work fundraising from the corporate sector to support the Children's Museum's work. Much like her work in public and community affairs in the past, most of this work comes down to building relationships. Though it may seem straightforward, some of her efforts take years to yield results, and you never know where you will find the newest person in your network. And though anyone can learn to do what she does, it helps if you are naturally inclined to want to meet new people, start conversations and enjoy networking. But Charlayne also spoke about the wide array of opportunity available not only at the Children's Museum, but in any company or industry you might find yourself in. "Almost any job you can name, we have at the Children's Museum", she said. "We build our own exhibits at an offsite design and production facility. These are carpenters and designers who can interpret a concept and build it to hold up to thousands of kids playing with it." They also have a NASA engineer who felt it was more important to teach the next generation. "What's the most rewarding and difficult parts of your job? ", asked one of the youth Junior Program Assistants. "I can see a direct relationship between the work I do and the impact of the results". It may take years in some cases, but from the park construction next door, to seeing thousands of people a day in the museum, she knows she is making a difference. Thanks so much to Charlayne Murrell-Smith for joining us at the end of a busy and stormy day. Our staff was very inspired by her path, as well as the fact that BCM is a place that is always looking for new and enthusiastic staff. As one of our oldest site partners - Save the Harbor programs daily at the Children's Museum's pier - it was great to spend time learning about the other side of the Children's Museum's operations. Thanks to our Youth Environmental Education Program funding partners for making this speaker series possible as part of our Youth Jobs and Leadership Development Initiative.